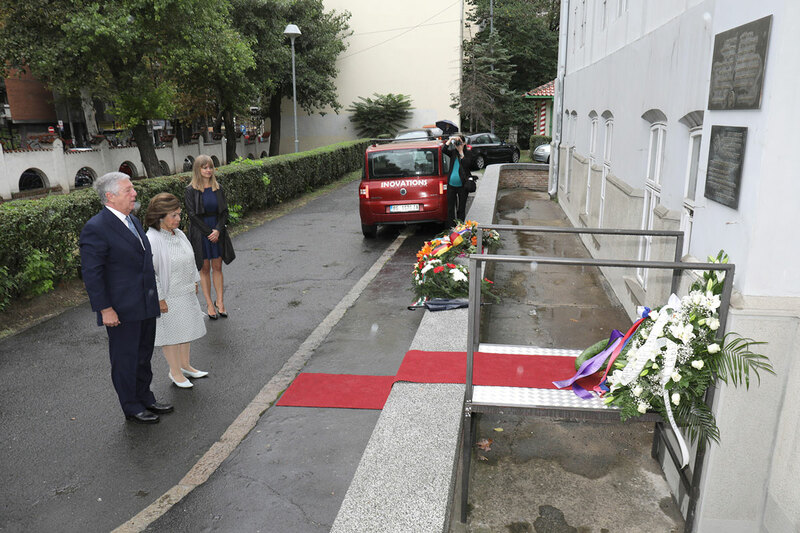 Their Royal Highnesses Crown Prince Alexander and Crown Princess Katherine paid respects to medical missions and individuals in the Balkan Wars 1912–1913 and the First World War 1914–1918, who assisted the Serbian Army medical corps, by laying a wreath on the memorial in the Serbian Medical Association building. Serbia entered the Balkan Wars with 370 medical doctors, both army and civilian, and without any other medical staff. This number was not sufficient even for peace time. Therefore, the Serbian Army needed help from doctors, nurses, and medical supplies. 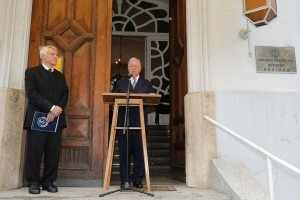 Many foreign medical missions and individuals responded to the appeal for help, the Serbian Medical Corps during the Balkan Wars fulfilled its mission. Nevertheless, only one year after that, Serbia entered the Great War with only 400 civilian and medical doctors, without any nurses and with a huge deficit of medical supplies. 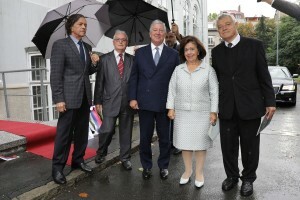 Many medical corps and individuals from friendly countries answered the appeal from Serbia. 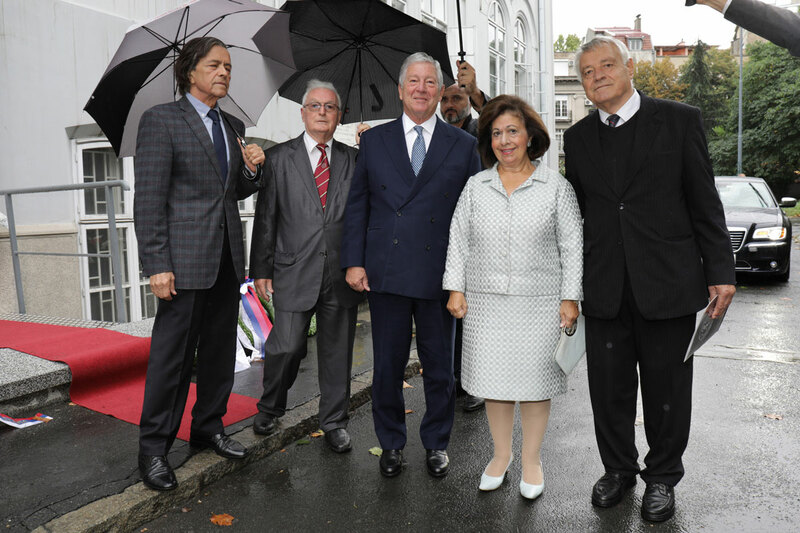 Their help was especially important in terminating three epidemics of typhoid fever that affected the Serbian Army and civilians in 1915, a hundred years ago, that took toll of 135,000 lives. 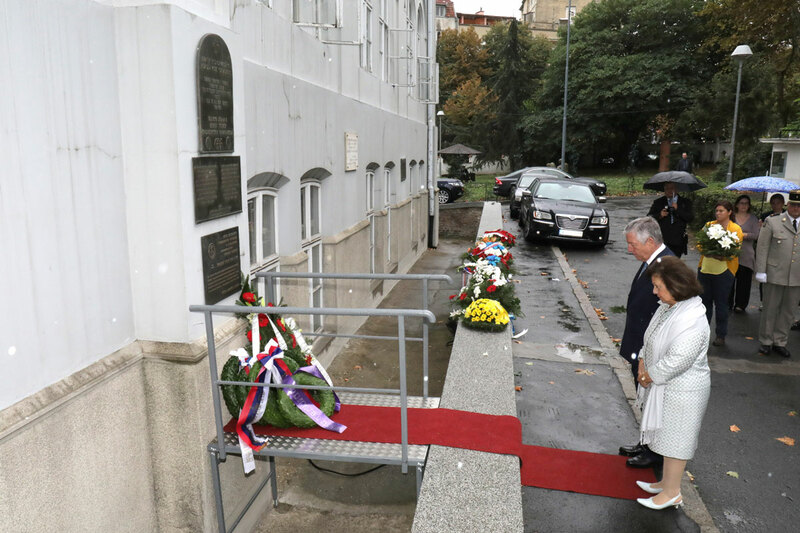 In memory and gratitude to all those medical missions and individuals, the Serbian Medical Association unveiled two memorials in their building at George Washington Street in Belgrade.